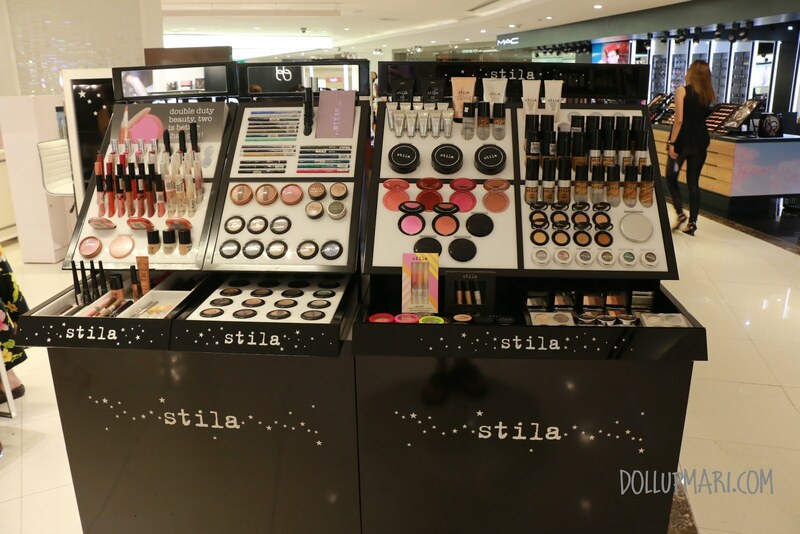 So for those who are looking for stila in the Philippines, you needn't buy everything online and you can get your fix for most of the items here. 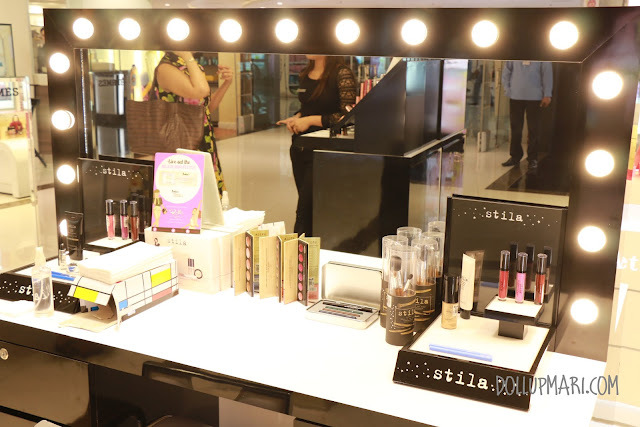 Moreover, some of the items here may actually end up cheaper compared to the prices of online resellers because Rustan's is the official distributor/ Philippine reseller of this brand. 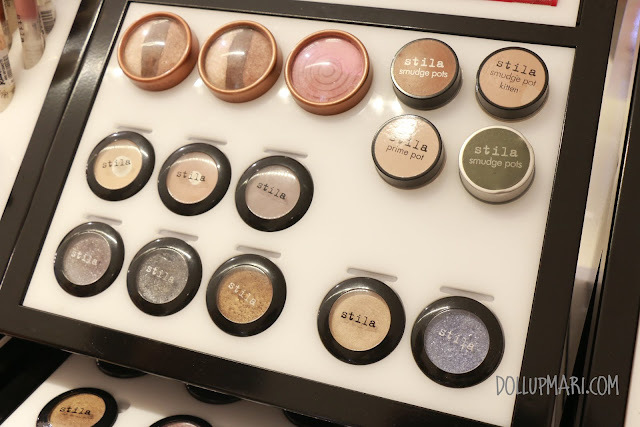 Stila may not ring a bell to some of you, but it's a popular US-based brand created when a group of professional makeup artists decided that they should have their own makeup line. 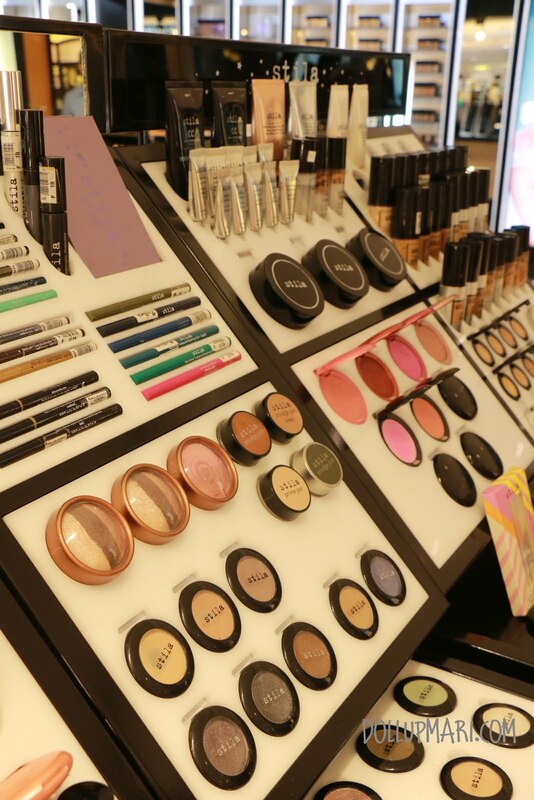 They're popular for their waterproof eyeliner in the colors of the rainbow as well as their foundations and face products with swirls in them. Their most pupular line is the one step line, consisting of a one step correct (color corrector and primer), one step bronze (bronzer), and one step illuminate (highlighter). I own a bottle of the one step correct which I got online for a whopping Php2450 when they just sell it locally for Php1750-1800. 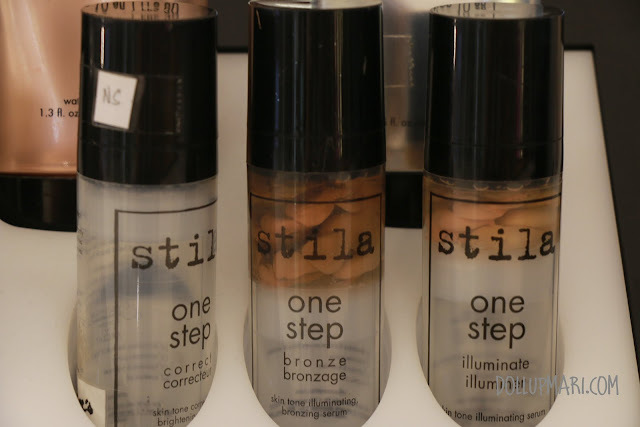 If you have dull skin, very reddish skin, or just need a really good primer to solve all your complexion problems, be sure to get a bottle of one step correct today. The primer is apparently selling so well that they have no stocks right now, and even the tester bottle is already empty. And these are their countless color pigments. More makeup photos after the jump! 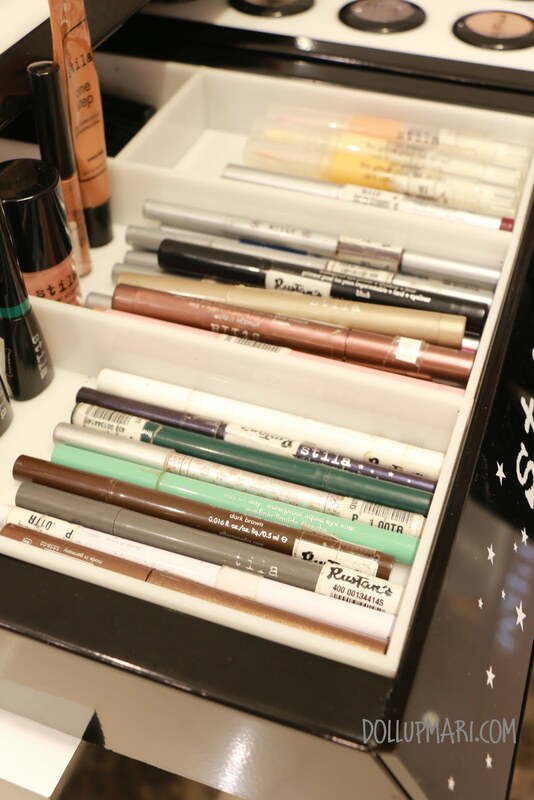 These are their individual concealers on display, but they also have foundations that come with a matching concealer already. They've also made foundations spiked with serum as you can see in their perfect and correct foundation (the one with swirls in it). The selection is pretty good given that this is the Philippines. 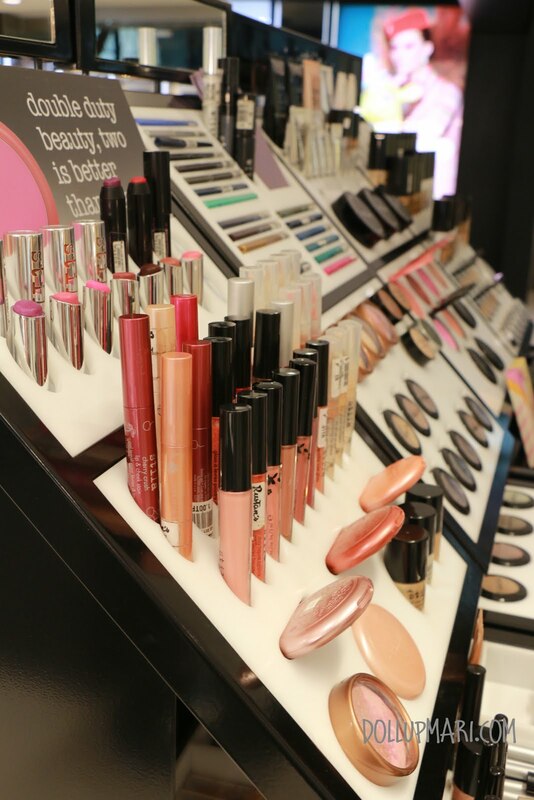 I mean like you can find most of the products, and stocks seem to come in regularly. On the mirror you can see my mom conversing with store staff. Mama tried out their stay all day foundation and was impressed with it. 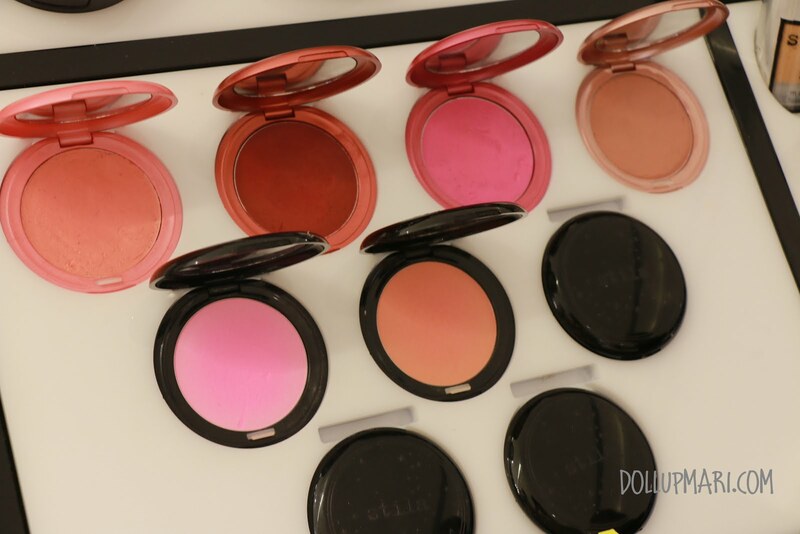 This is the blush selection they have. 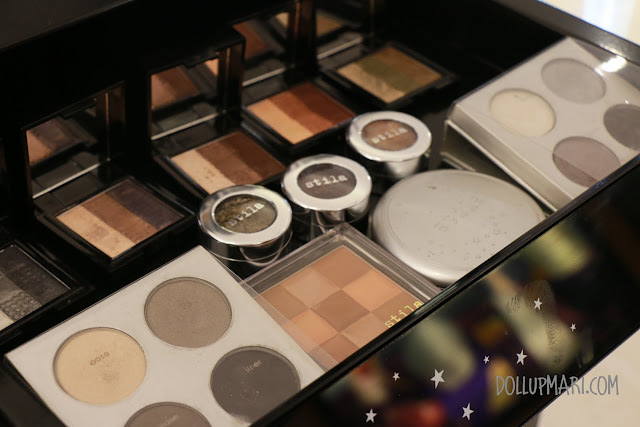 I fell in love with those foil pigments (those colorful pots)! They come in this jelly-like format. The moment you apply it, it packs a whole lot of shine and glitter, but isn't too thin that the glitters go loose and mess up the face, and also isn't too thick that they feel extremely sticky. This will surely go well on top of my eyeshadows! And these are some more of their eyeshadows. I actually liked that checkerboard shaped bronzer because it's really creamy and silky and isn't in-your-face bronzing like many bronzers. I mean bronzers are meant to give a beach glow, not to make you look like you got a fake tan in the wrong places. So now you know! This is Mari signing off from this PSA hahaha.